Kirk Nix Collection. 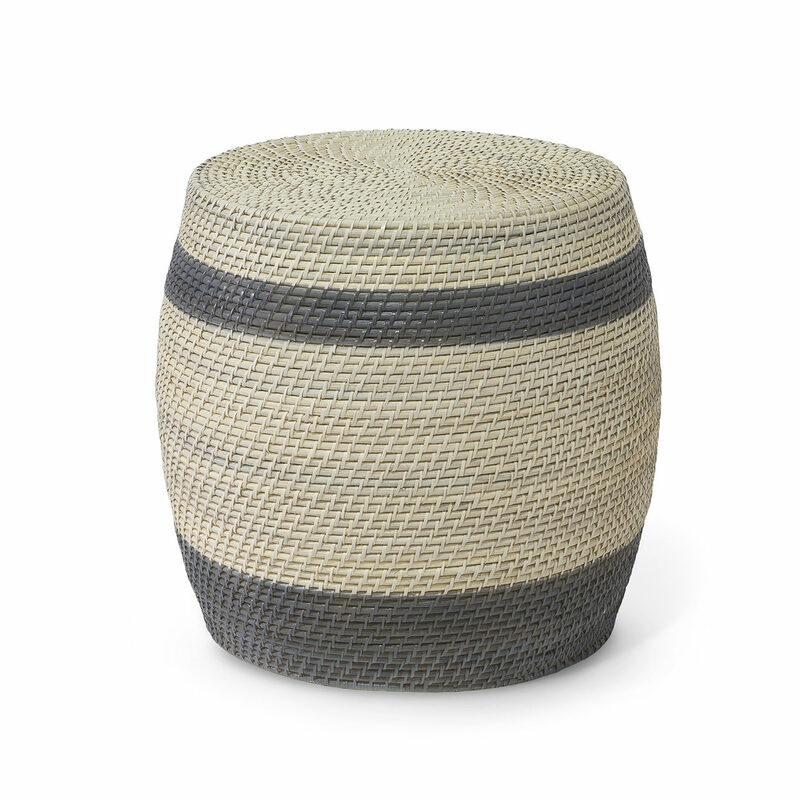 Stool features rattan with hand-stitched nito coil vine details. Hand-painted in cream with grey accents. Available only as shown.